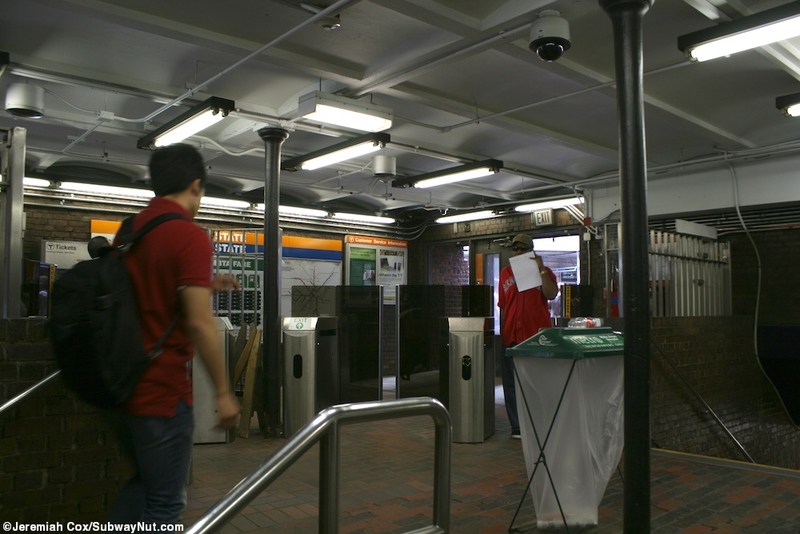 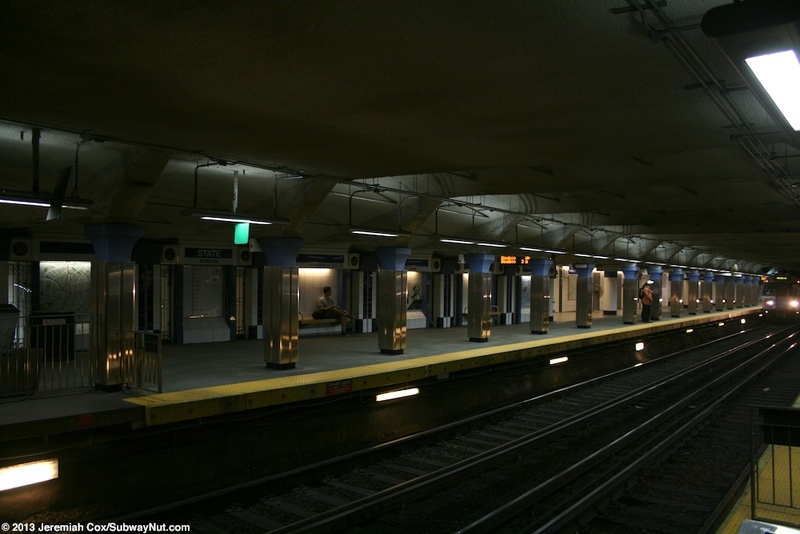 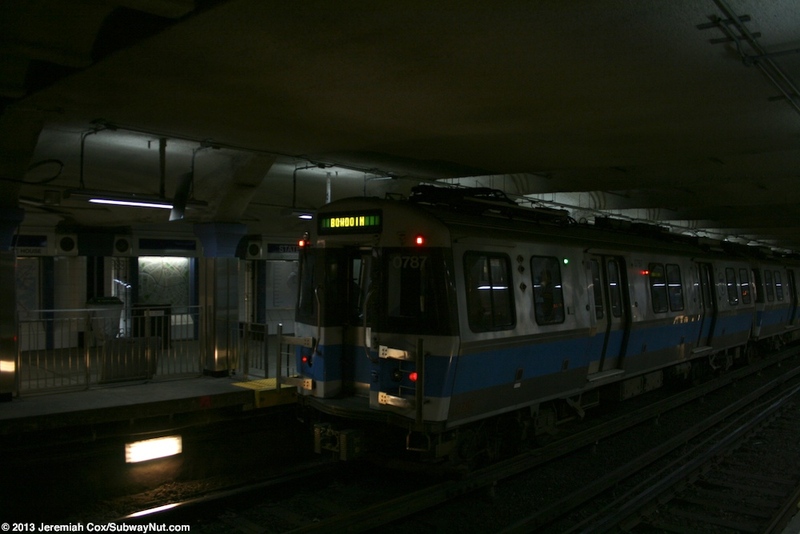 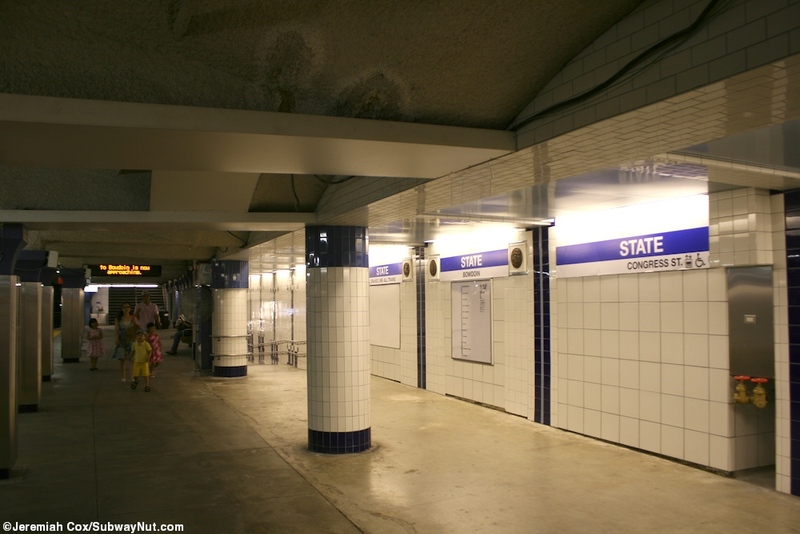 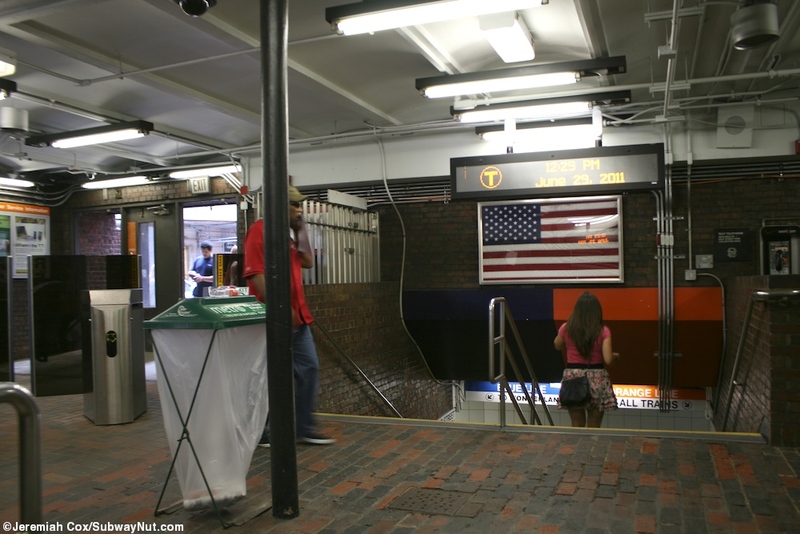 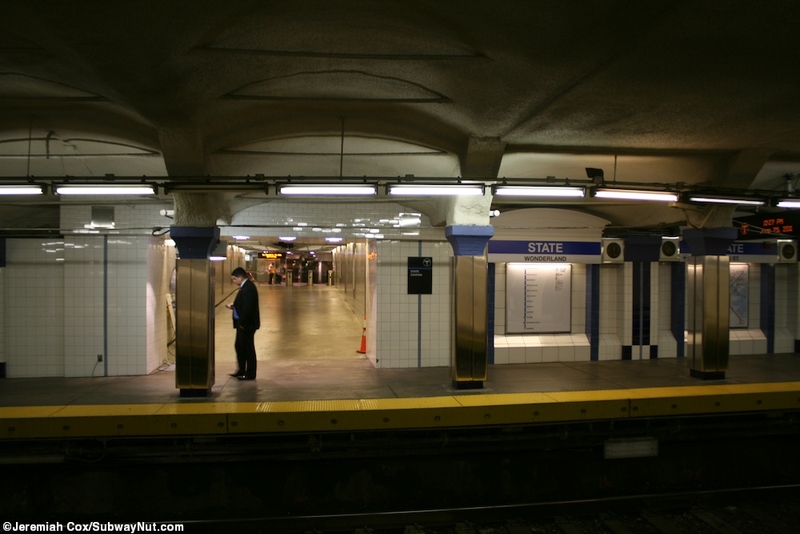 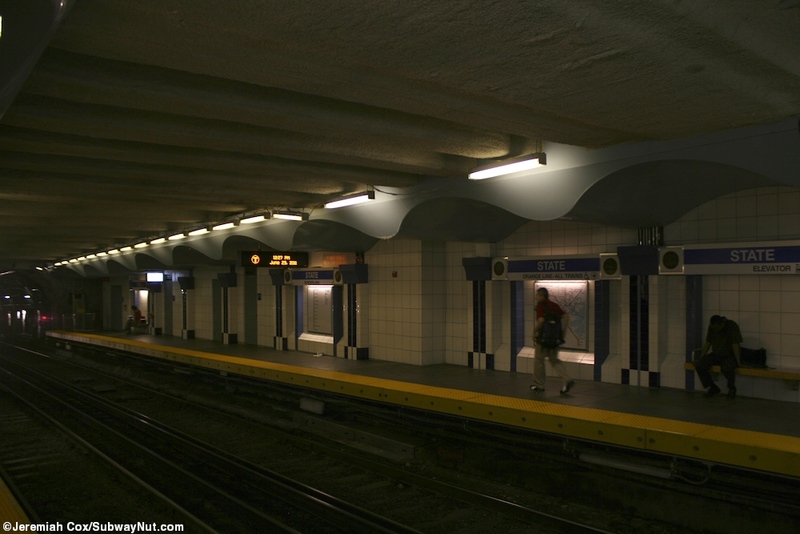 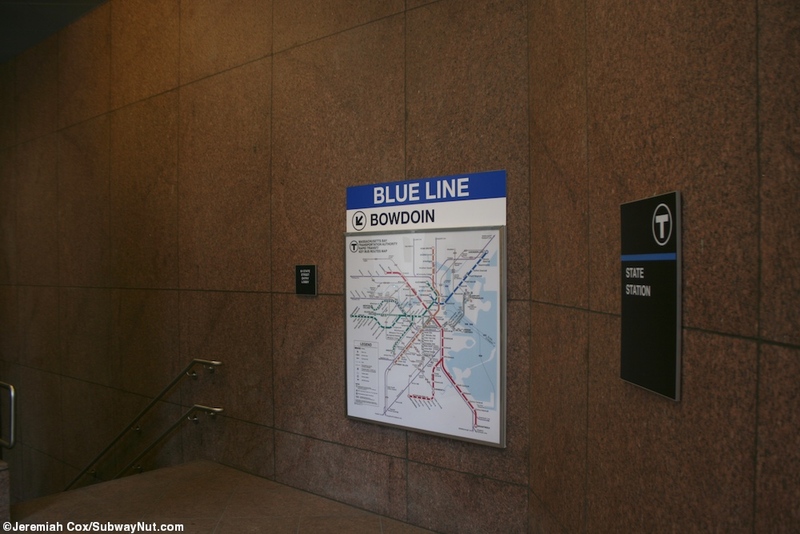 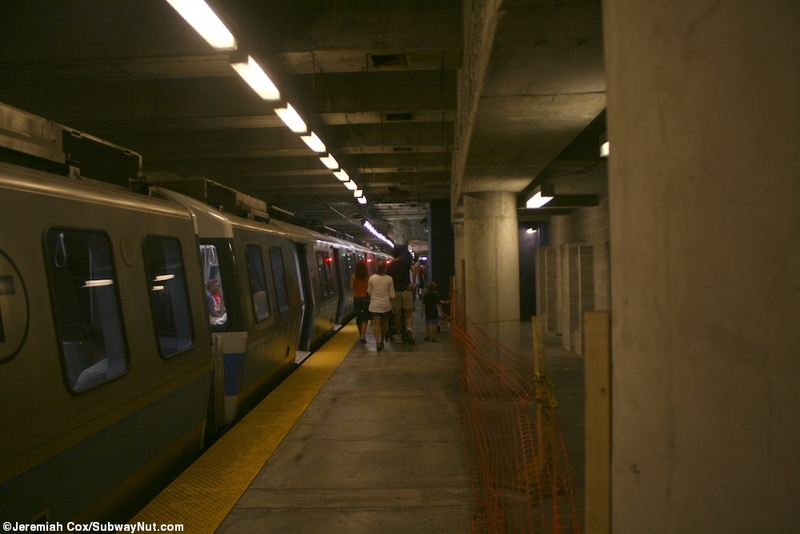 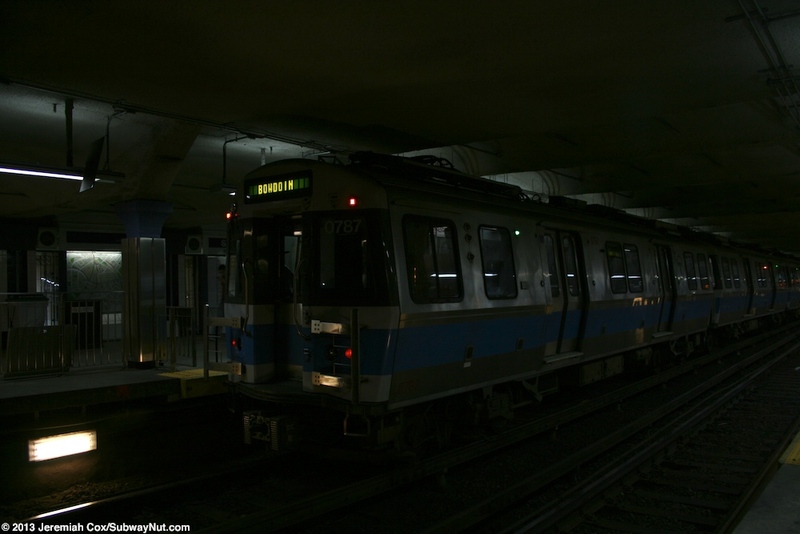 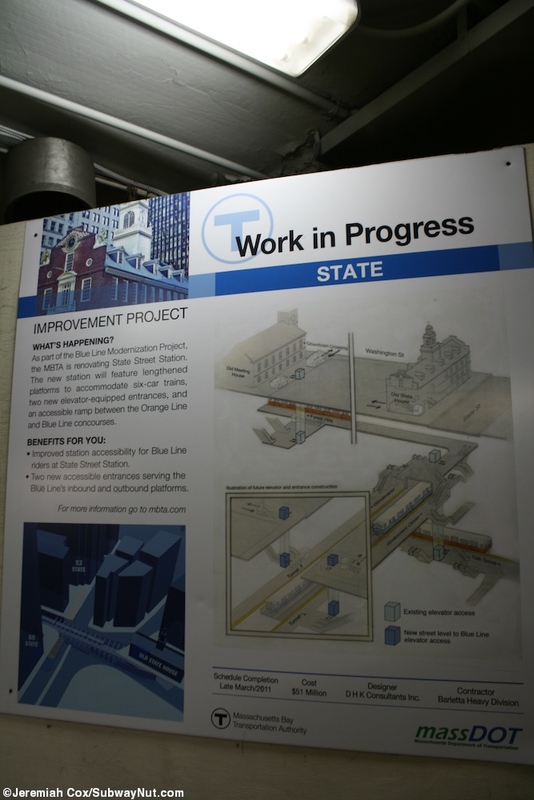 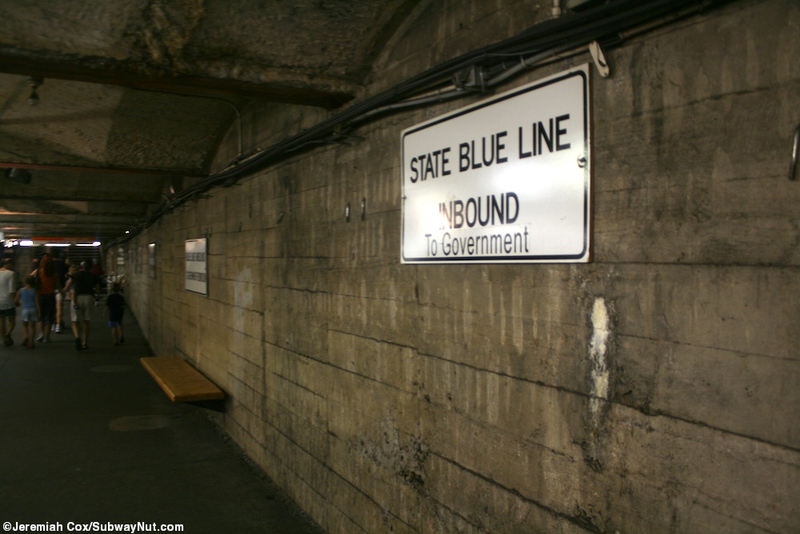 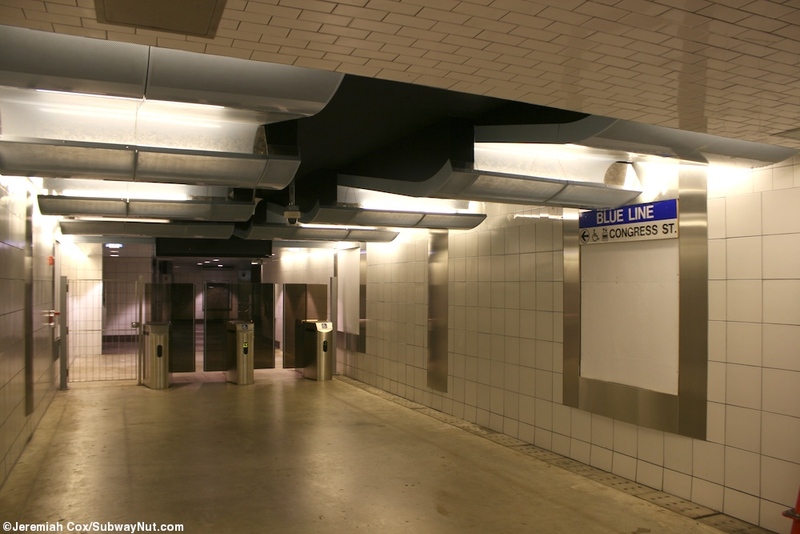 The Blue Line platforms at State have almost completed renovations with modern tiled walls with indentations and seals commemorating Massachusetts History, new elevator entrances, and decorative silver sheathing covering the old standard blue painted platform columns. 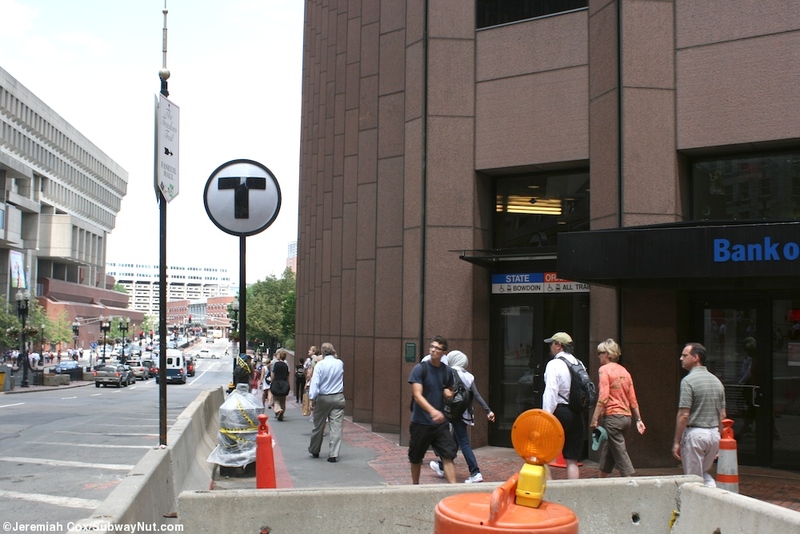 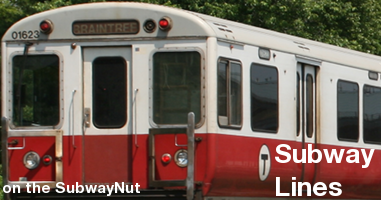 The stop has two side platforms; at their western ends is a connection to the orange line via stairs from the outbound platform and a long ramp from the inbound platform. 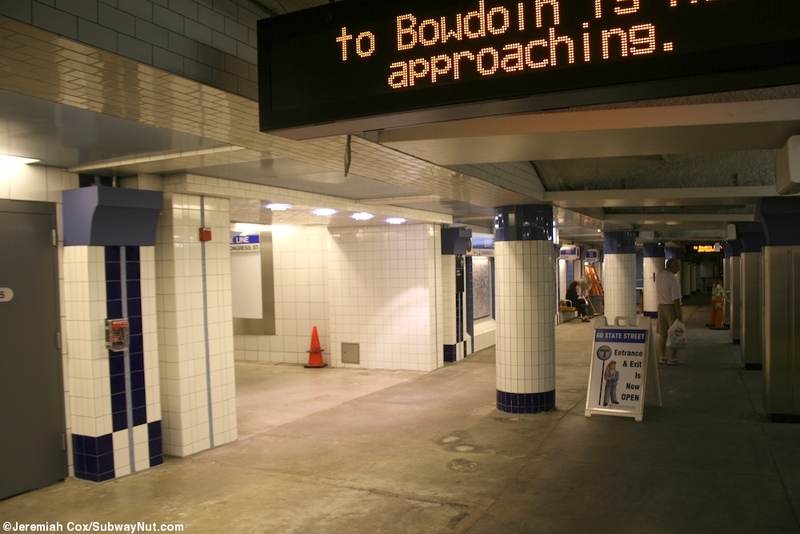 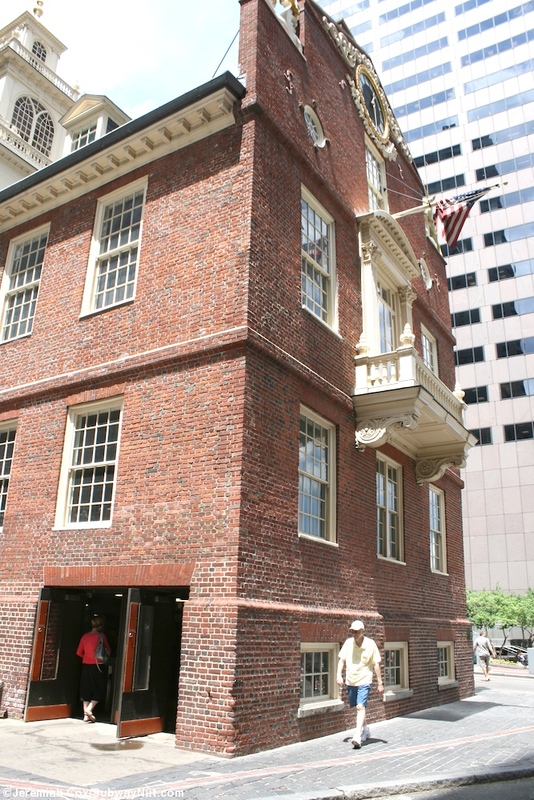 At this end is also where staircases lead up to the stops original (and only until Early 2011) entrance directly to the blue line in a small area in the basement of the Old State House with doors from inside of its lowest level that lead directly out to the street. 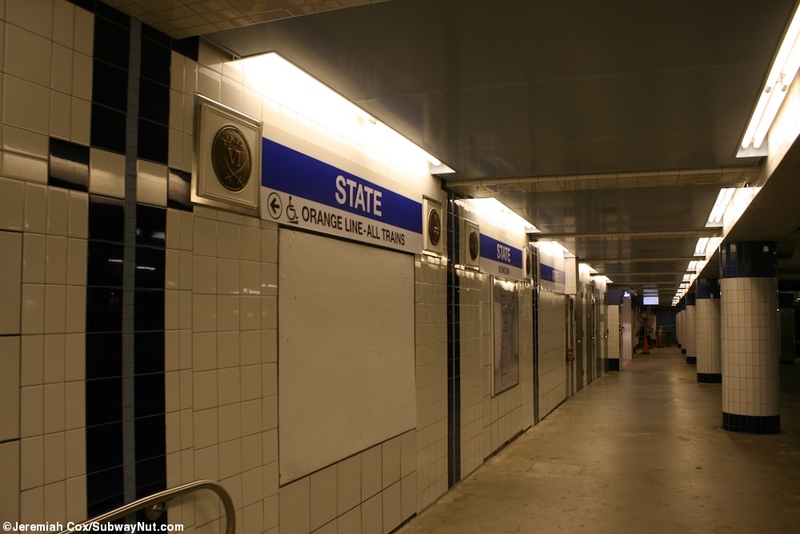 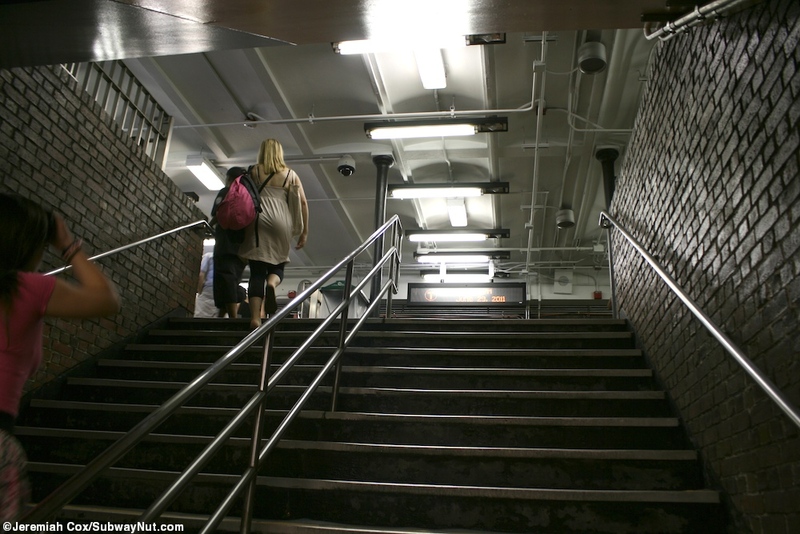 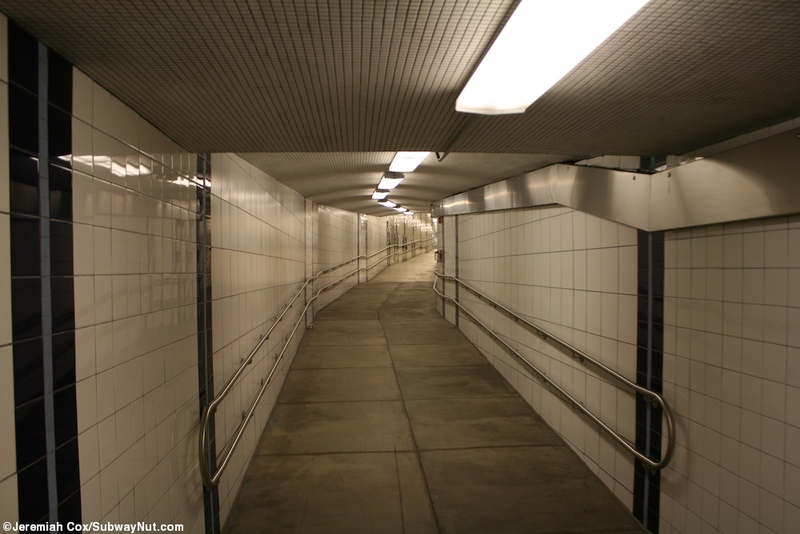 New entrances that consist of passageways directly along each platform that lead to faregates and then a new elevator can be found set into existing buildings on the opposite side western side of State Street right near Congress Street as these exits are signed. 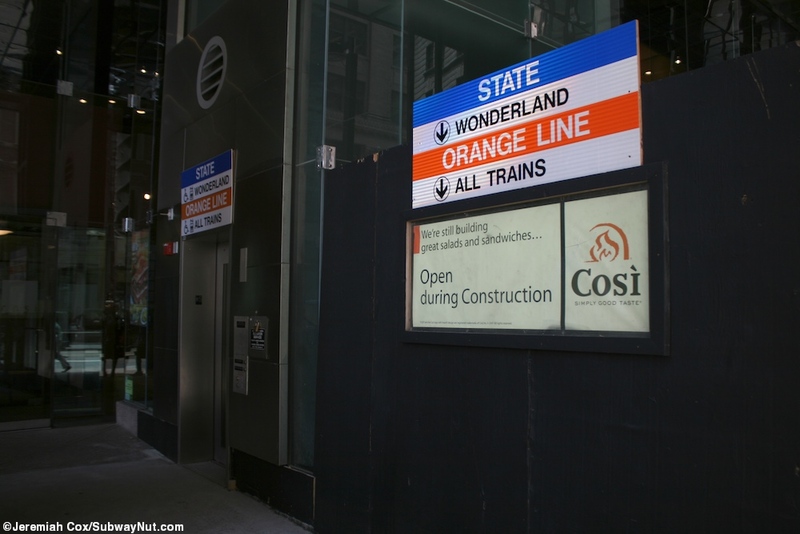 On the Inbound platform the exit is called 60 State Street.